Jehovah certainly is good! During the month of October we had much to be thankful for. One of these things was the annual meeting and all of the new and exciting things made available to the organization. For us being outside of the United States the annual meeting buzz was different from what we are accustomed to. 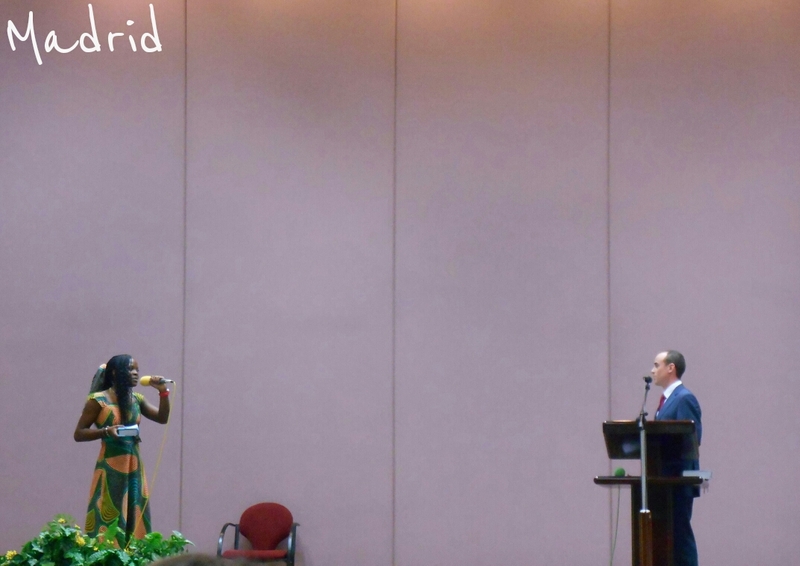 Just last year we had the privilege of watching a broadcast of the annual meeting as the new revised translation of the Bible was released. Those memories will surely stay with us for a long time to come. Now, however we are in a Spanish speaking country thousands of miles from world headquarters. Regardless of this we were able to keep up with the new developments from friends back home serving in bethel and others. 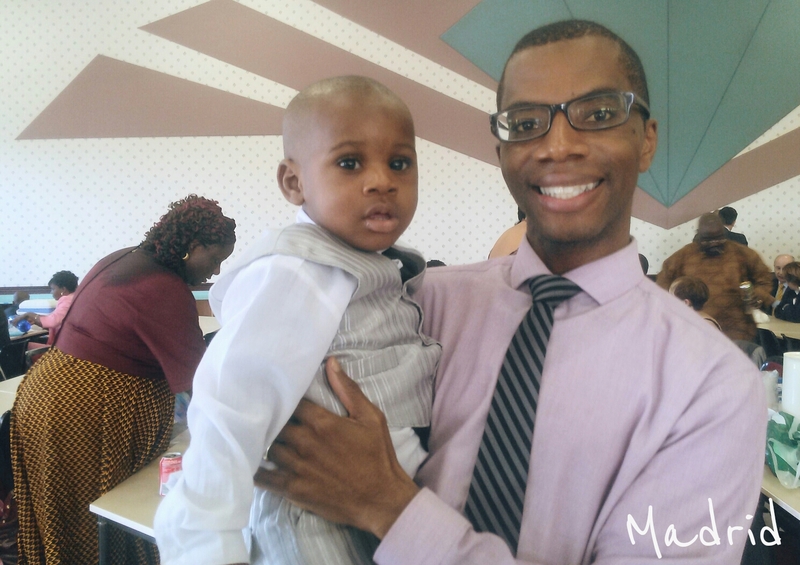 We think that words cannot express the gratitude that many of us feel to the earthly part of Jehovah’s organization for the many good things that were made available at the beginning of October! 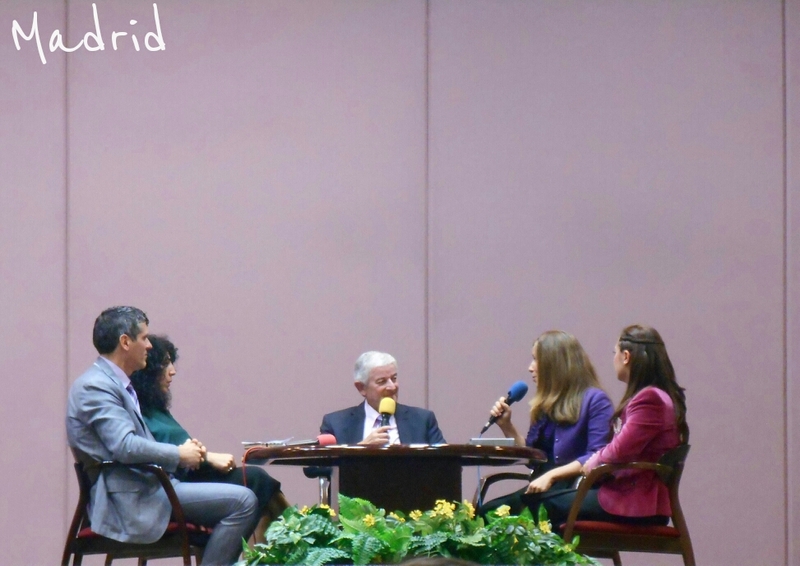 We were so thrilled to learn that during the month the broadcast of the annual meeting along with the Gilead graduation would be made available to all who wished to watch it. Being able to view these special events makes us feel more connected to the organization and allows us to better keep pace with it. We were so excited to learn about the adjusted understanding of Matthew 25. 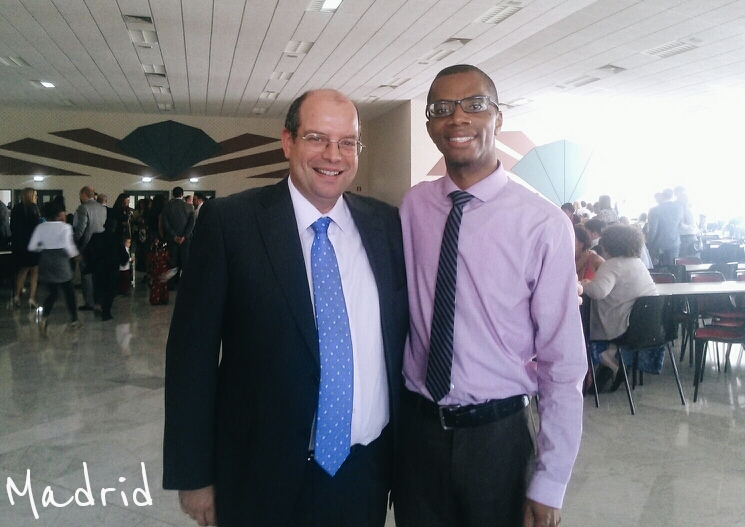 The week after the annual meeting we got to work in service with a longtime faithful brother and it was a pleasure to be able to talk about how our understanding of the truth continues to be refined as this system draws to its end. We are also so very happy for the new language app which we can use to improve our theocratic Spanish. We greatly look forward to using the pocket size Bibles here in our English territory once we receive them here in Spain. October was also a wonderful month for the ministry. Kanicia and I have been greatly enjoying our ministry and Bible students. We have made some small adjustments with some of our students which have been a real blessing. You may remember one of my students named Peter from Ghana. Well as we studied I noticed that at times it was a challenge for him to get the sense of certain words in English in the Good News brochure. This was due to the fact that the language that he was most comfortable with was Twi although he speaks and understands English. Twi is the language of his heart and the one that he would likely speak to his family and friends in. Well I really wanted him to get the sense of what he was learning so I decided to use the tools from the organization to help me. I downloaded the audio version of the Good News brochure and after each paragraph was read in English on the study I would play the audio in Twi for him to listen to. Now for those of you in foreign language, we know that our goal is to reach the heart of our students with the language that speaks to them the best. When you actually experience that it is truly a wonderful thing. I wasn’t sure how or if listening to the Twi language would really make a difference but I wanted to try nevertheless. All my doubts were laid to rest once I saw his reaction. As we sat on the bench in the park with me holding up my phone to his ear so that he could listen to his mother tongue I could see that the language was reaching him. He was silent as he listened almost as if a close friend was telling him something very important from God’s word. After the paragraph in Twi was done I looked at him and asked him what he thought. I could see him wiping tears from his eyes as he told me that he loved it. These types of experiences show us that it is worth the effort to share the truth in the language of peoples heart. This will be able to affect them in a way that penetrates below the surface. Another adjustment that has been made with our studies is to switch the location to our apartment. This we feel has had a positive impact on the quality of the study and the overall atmosphere. While studying at the plaza is nice it does have some downsides. For example it can be noisy because of the cars, children and pedestrians. This presents greater distractions to the student when trying to learn new information. Since we live only a few minutes from the plaza near the center of the city it was only logical that we considered transitioning the study to our home. The benefits have been that it is quiet, calm and more of a dignified environment. For the students this means that they are more inclined to open up with any questions that they may have. We are also able to reason on the scriptures more in-depth and the students feel more comfortable overall. 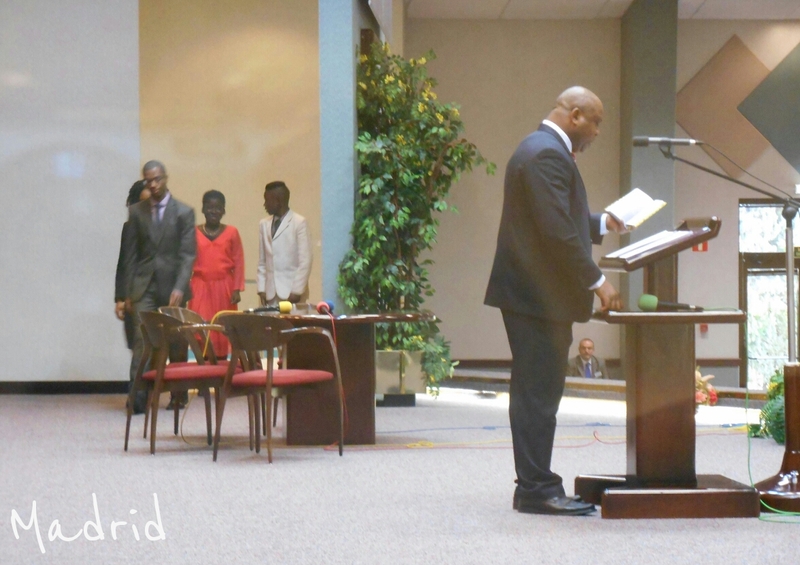 We feel that Jehovah has blessed this decision and we look forward to continued progress from our students. During the month of October we were able to enjoy our Circuit Assembly with the theme “Seek Peace and Pursue It.” We invited our Bible students to come and they were very excited about the arrangement. 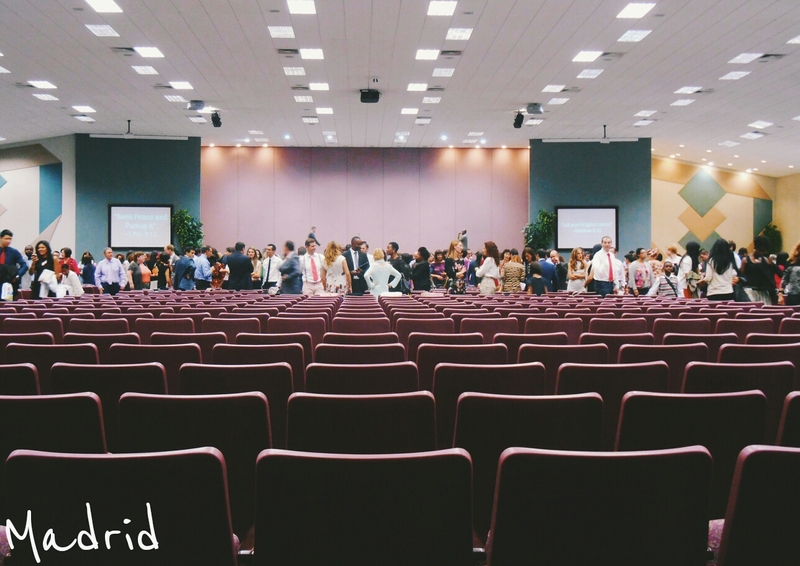 One of the students seemed as if everything was lining up for him to be able to make it to the program but then something got in the way. This just goes to show that we are not the only ones who are busy, but our adversary Satan the devil is also working hard to keep humble people from embracing the truth. The week of the assembly I learned that my student was offered some work the exact weekend of the assembly program. Since for many of the immigrants work is very difficult to come by this is something that he was not in a position to refuse. Well, hopefully in January some of our students will be able to attend the assembly program with us. 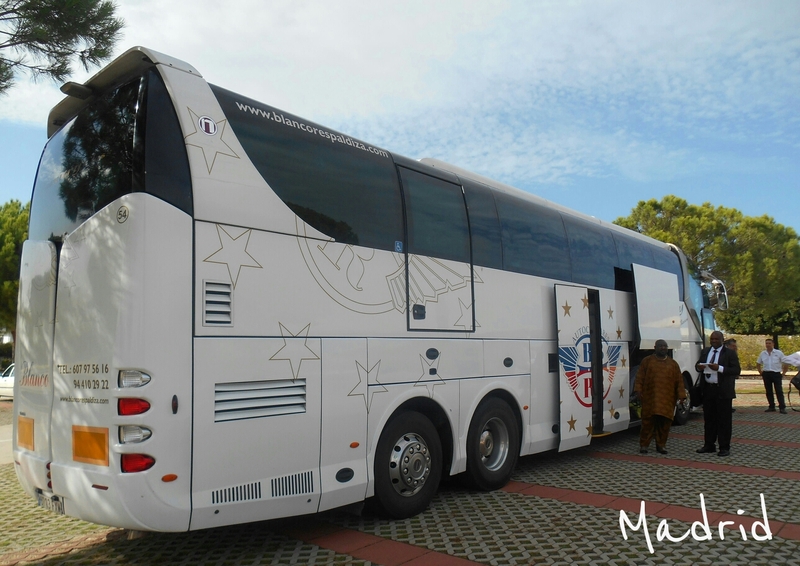 In our last posts we mentioned that the congregation was planning to rent a bus so that all could attend the assembly program. This arrangement was so successful that the congregation had to cancel the bus they reserved and rent a bigger bus for all interested. In total we had around 60 publishers on the bus including Bible students and interested persons. 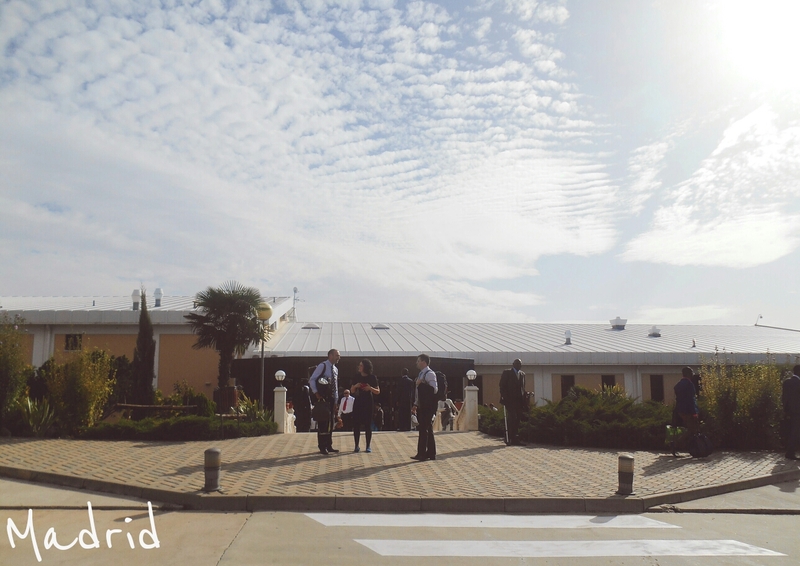 We all met very early on Saturday morning at the kingdom hall and headed for Madrid. The trip took us around four hours. 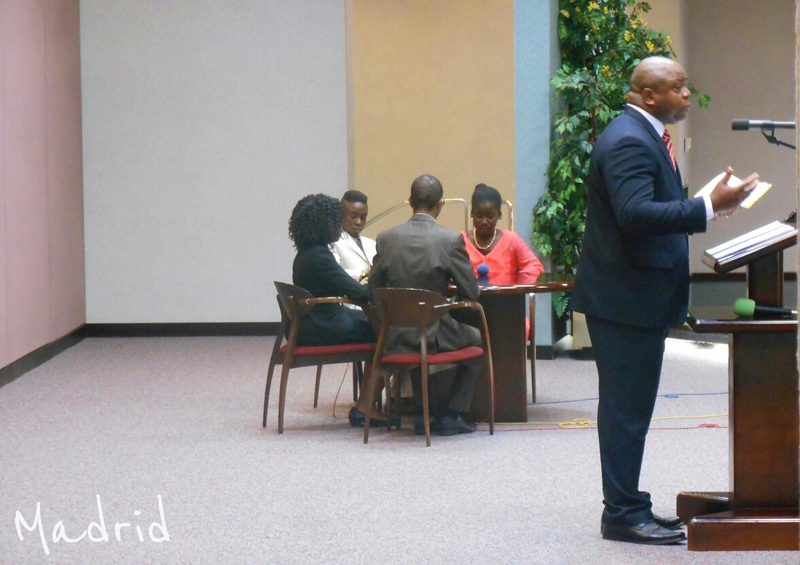 Kanicia and I had the privilege of sharing in a demonstration depicting a family applying Bible principles. We were married and had two kids. We were really excited to be able to take part in the demo because it was very realistic and something that could happen to any family. The demonstration was during the second talk of the day. With Jehovah’s help we arrived right on time literally as the first song was starting. 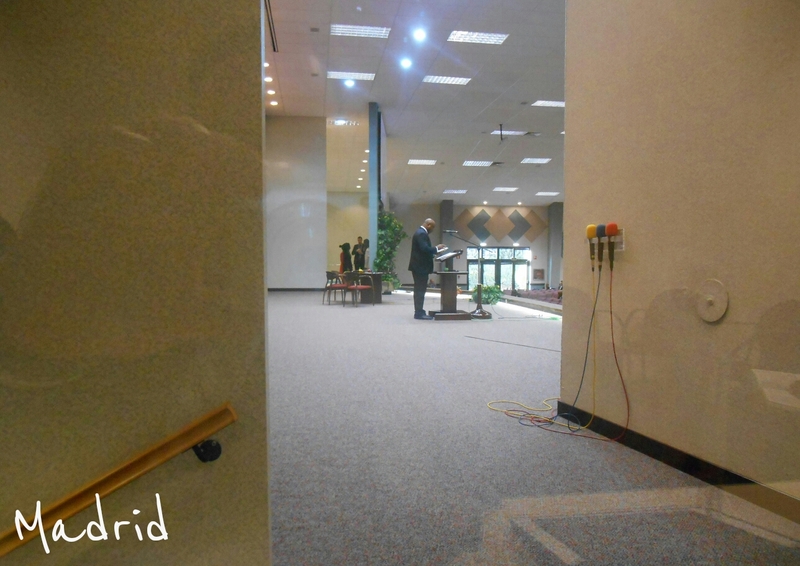 We didn’t have any time to find a seat but rather we walked straight to the back of the stage with the elder giving the talk and took our seats in the prep room. Before we knew it, the first talk was over and we were preparing ourselves to walk out. Everything happened so fast that we hardly had time to be nervous! Thankfully, everyone did great and we were able to find our seats and continue enjoying the program. During the assembly we had three baptized including a sister from our hall. 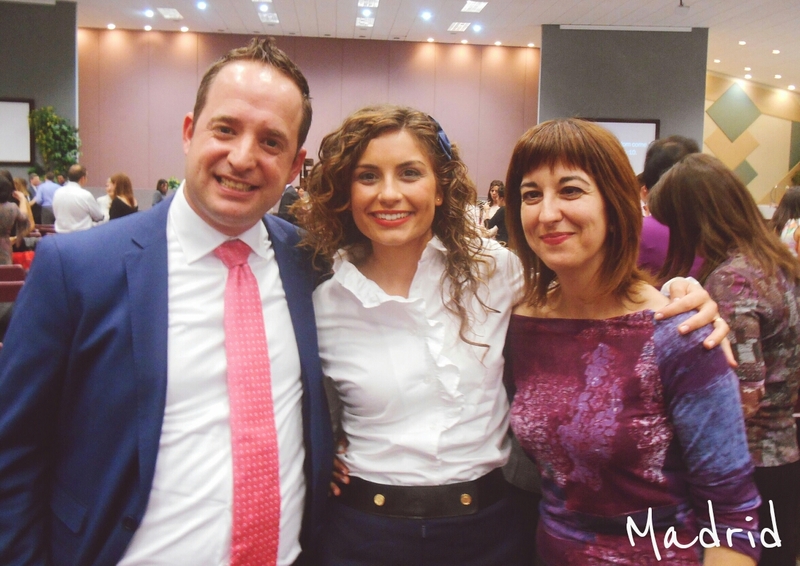 We are so happy to welcome her officially into Jehovah’s organization as our spiritual sister. As you may have noticed on the program there are a few talks that are to be given by a ‘visiting speaker’. 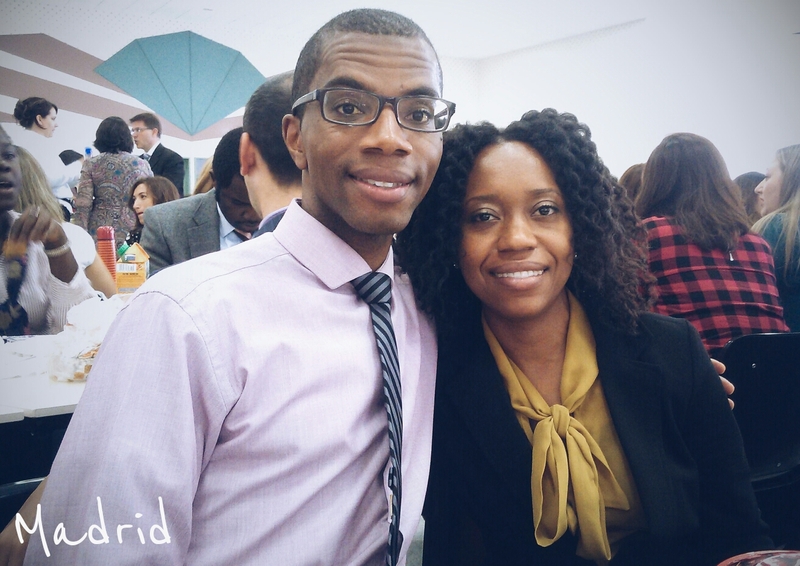 For our speaker we had a brother from Madrid bethel who originally is from the UK. He gave some excellent talks with great illustrations that really hit home. We had a high attendance of 620. It was really nice to get to meet different ones from our circuit and learn about them and their territory. After the assembly was over we all loaded up onto the bus and began the journey back to the Basque country. You may be wondering if there were any Kingdom songs sung on the bus. Well the answer is yes. It actually started quite by accident to begin with. One of the sisters was singing Kingdom songs to her baby to help him fall asleep on the way back. Some others started singing along and within 10 minutes the whole bus was belting out Kingdom songs a capella. It was neat to see how no matter where you put Jehovah’s people they are happy. That spirit was manifested throughout the whole day including on the way back from the program even though many were tired from the days activities and travels. We were really looking forward to the day after the assembly since we were going to be able to act like tourists. Since we had no meeting and the weather was supposed to be amazing we had decided to plan a trip to San Sebastian the jewel of the Basque country. We had been wanting to go there ever since we moved to Bilbao back in January. But we could never seem to get the timing right. We are so happy we waited and went when we did. 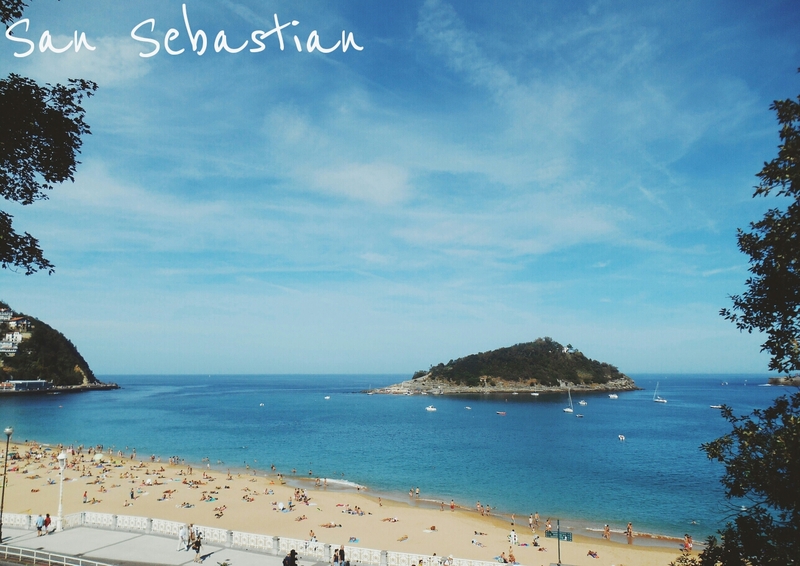 San Sebastian is about an hour from the border with the south of France. It is a small city that encompasses a gorgeous cove and beach called La Concha (the shell). In 2013 it won Conde Nest’s readers choice award and it was named 5th best city in the world. It is also known as the culinary capital of Spain and the Basque Country. Needless to say with all of the hype this place has some high expectations! We started the day off with a leisurely breakfast at one of our favorite chocolate and churro restaurants in Bilbao called La Arenal. Afterwards we took the train and made our way to Donostia as the Basque call it or San Sebastian. 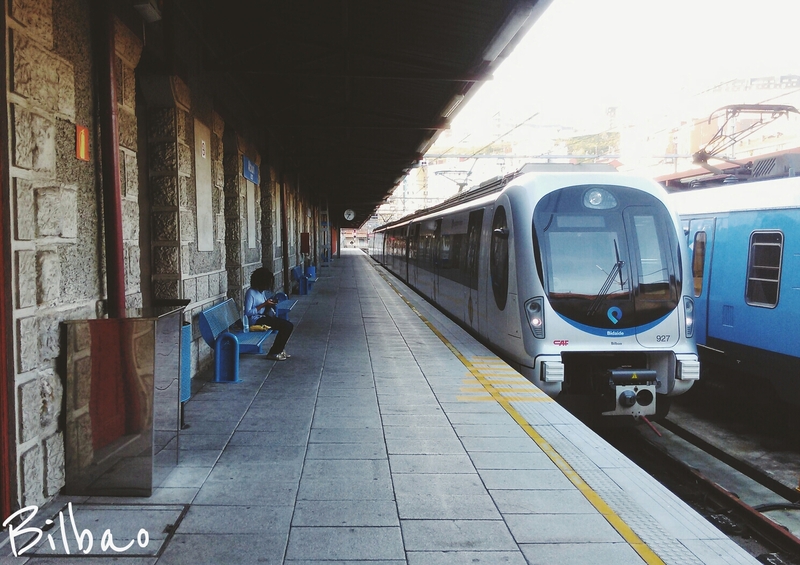 The train is very comfortable and quiet and has air conditioning and rest rooms. Along the way we were able to take in some sights of the beautiful green Basque countryside. 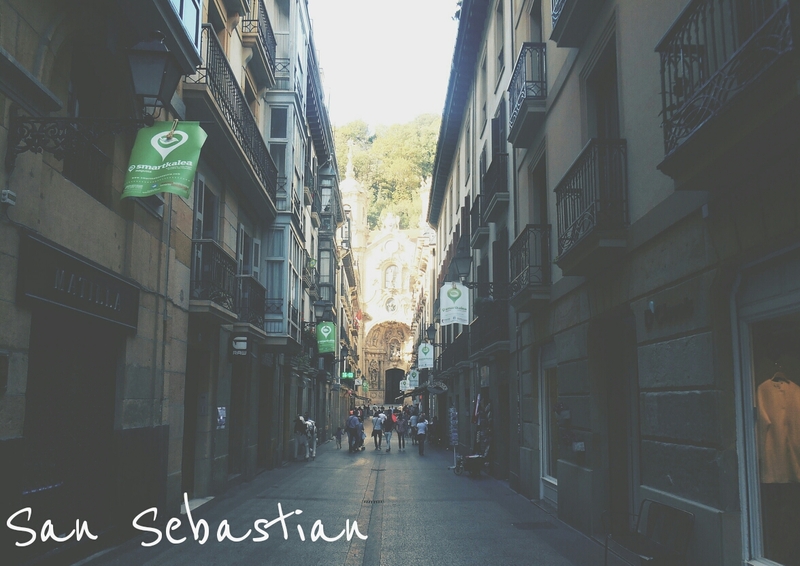 In a few hours we arrived in San Sebastian in the center of the city. After asking for some quick directions we made our way to the beach. 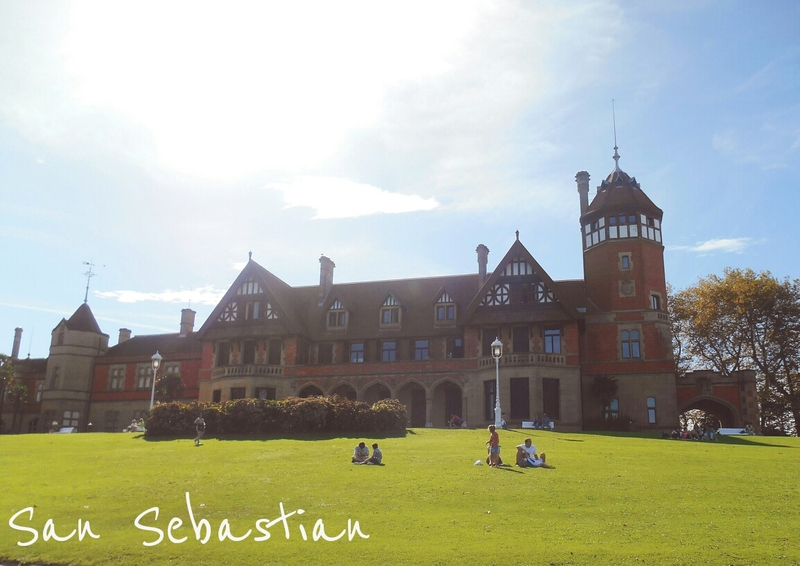 Thankfully a brother in our hall who is from San Sebastian gave us some awesome suggestions on things to see and do. We took his advice and began by taking a stroll along the beach toward a lookout point. 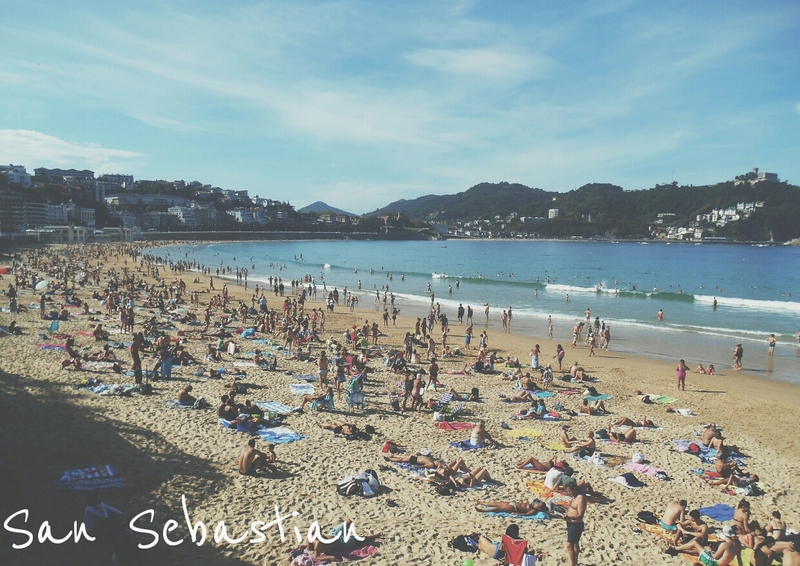 The first thing that we noticed about San Sebastian is how clean it is. It is obvious that its inhabitants take great pride in their city. It also has a very stylish, cosmopolitan feel but it is traditional at the same time. After walking along the beach and taking in the spectacular views we made it to Miramar Palace. This is an old building that is beautiful to look at and gives you some nice views of the beach. After spending some time there we continued on our way to the elevated look out point onto of one of the mountains at the end of the cove. After taking a trolley up the mountain we were greeted with breathtaking views of the beach and the city. There is even a hotel atop the hill which offers you some amazing views as the sun sets. After taking some photos and relaxing we made our way to Casco Viejo or the old town. This is the part of town where all of the best pincho bars are. If your not familiar with a pincho, its usually different components such as meat, fish or vegetables placed on top of a piece of bread and held together with a toothpick. This started off as a humble dish but has since evolved into elaborate gourmet creations. 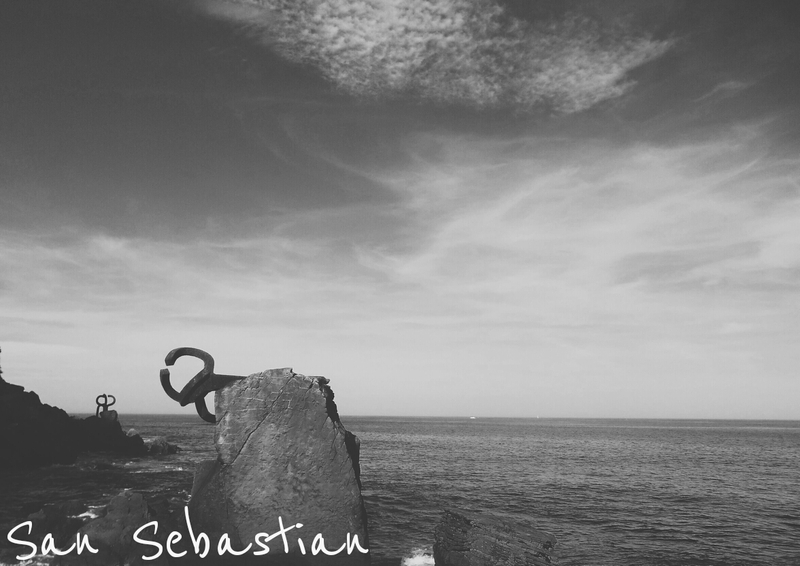 The reason that San Sebastian is so famous for their food is because of their ingredients. They are right next to the ocean and thus have access to amazingly fresh seafood and their markets are renowned here in the Basque country. We decided to do what is so typical around here and that is a pincho bar crawl. Basically, all this means is that you visit a handful of pincho bars and try one or two of the best pinchos along with a small drink at each bar and then move on. This allows you to experience a greater variety of food and allows you to discover new things. We had a lot fun doing this and overall we were very happy with the food. 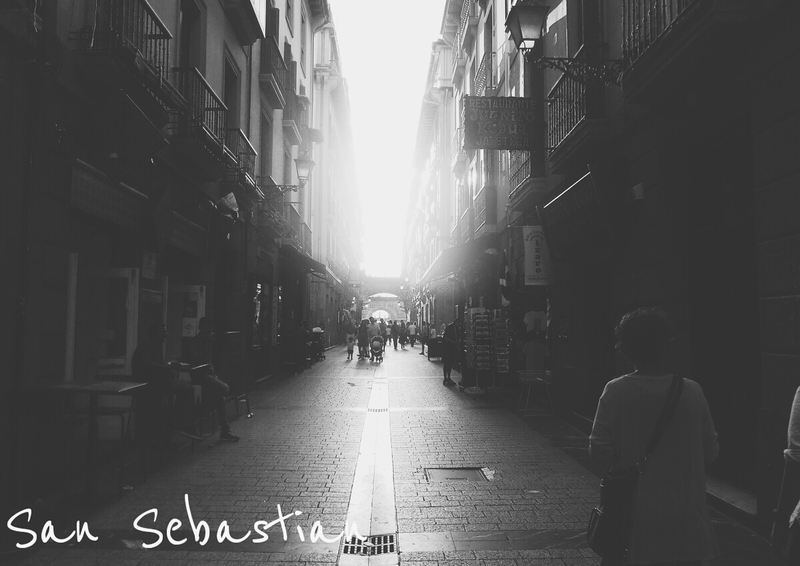 Our trip to San Sebastian was great and it was really nice to relax and play the tourist which is something that we don’t often get to do. We would recommend this city to anyone and if you are in the area we would love to show you around! 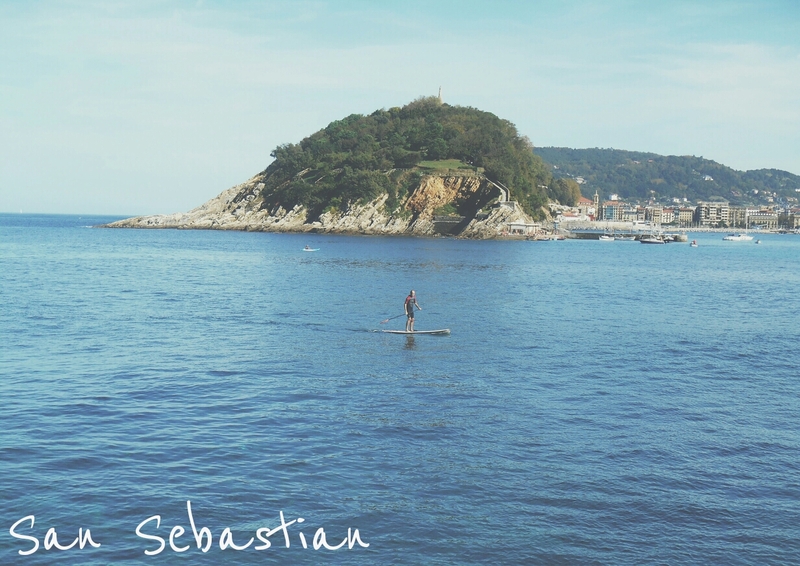 We will definatley be back to try new places and experience more of what San Sebastian has to offer. As you may have noticed the website address for our blog has changed. The blog can now be accessed using the link www.twopeopleinspain.com. You can still access the blog using the old address if you like, however. Going forward we will be revising the look and feel of the blog towards more a a visual, graphic-rich look. We look forward to these changes and we hope that you will enjoy them. As we look forward to the month of November we continue to be excited to see what good things Jehovah has in store! So…like….can you still drive or what? Previous PostCelebrating ONE YEAR in Spain!